Marketing can take you on a long hike. The one thing I can guarantee you about the journey is that getting more leads are not better if you don’t know how to nurture. The goal of lead nurturing is to help potential customers on their buying journey. It’s not just about converting leads to becoming “marketing qualified.” It’s about helping them progress along the way to get more sales. That said, I’ve seen companies spend most of their budget getting people to raise their hands but not putting enough toward progression. 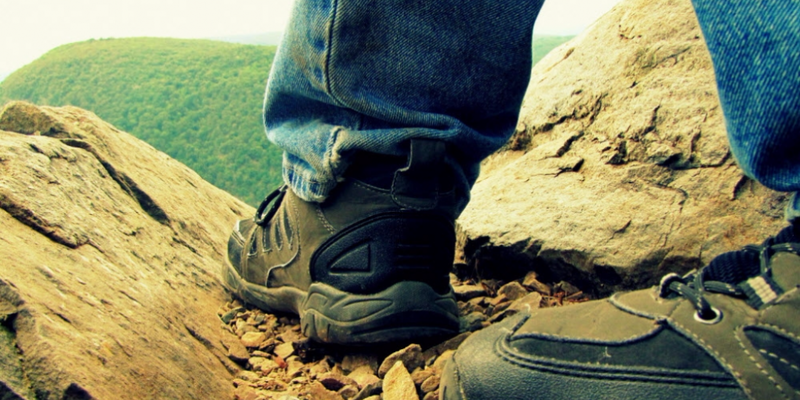 Get out your walking shoes, and take a journey with your customers. I define lead nurturing as consistent and meaningful communication with viable potential customers regardless of their timing to buy. It’s not “following up” every few months to find out if a prospect is “ready to buy yet.” Or doing random acts of nurturing. True nurturing involves a sometimes long and circuitous path, but along the way, you’ll be building long, meaningful and trust-filled relationships with the right people in targeted accounts. Salespeople often struggle with developing nurturing content without marketing support. If you’re wondering what kinds of content helps with progression, do this: Ask your sales team. The first step on that path to success is to start thinking like a customer. Be the customer. Get out of your building and be as close as you can to their experience by actually observing the behaviors of your customer. After you’ve gained a solid understanding, build your customer journey map. What is a customer journey map? It tells the story of the client’s experience: from initial contact, through the process of engagement and into a long-term relationship. How are they feeling? Stressed out? Curious? Excited? How will this product or service help my company? Is this worth the hassle of trying to get my team on board to solve this problem? Why so? Will their solution work? Can they prove it? Is there another company out there that is better? Help prospects find the answers to these questions, and you’ll remind them of the benefits of working with you. You’re creating value by giving them useful information in digestible, bite-sized chunks. The journey map is about helping you understand the fundamental interactions that your future customer will have with the organization. What are their motivations? What are their questions about each marketing touch point? Try to understand what they want and the concerns they’ll have when they talk with their peers. The goal of customer journey mapping is to get actionable customer insight. Invest as much in forming creative and content for lead progression as you do for lead capture. I’ve seen companies spend most of their budget getting people to raise their hands but not enough toward progression. The goal of lead nurturing is to help progress leads from initial interest toward purchase intent. It’s about progression. The tactics employed and the frequency of touches will depend on the solutions you sell and the buying cycle of the prospect. You need to create different lead nurturing tracks based on demographic criteria, such as size, industry, role in the buying process and more. In a complex sale, the journey can be long and challenging to help people move from initial interest to purchase intent. Your only job is to make certain you nourish your customer along the way and guide them with a meaningful compass toward the right and best decision for their needs. Think of your marketing team as trail guides who will need to point out all the sights along the way that are useful in the decision-making process. Slow down, and walk at the customer’s pace, even if that means taking the long route with them when it comes to buying your service or product. If you hurry them along, you might end up with an exhausted customer who doesn’t feel good about the journey and won’t turn to you to continue the path to purchase. How you sell me is how you will serve me. Most economic buyers evaluate you based on this, “how you sell me indicates how you will serve me.” Here’s where that little statistic I mentioned earlier comes in. A study of business-to-business buyers shows that sales people who become trusted advisors and understood the needs of economic buyers are 69% more likely to get away with a deal. Must be familiar with you and your company and with what you and your company do. Must perceive you and your company to be an expert in your field. Likes you and your company enough to want to work with you. Remember you can’t automate trust. Trust-building should be the theme of your nurturing efforts. By providing valuable education and information to potential clients up front, you become a trusted advisor. You are then perceived to be an expert. You don’t sell; you don’t make pitches. Instead, you provide insights and solutions all within the realm of your expertise and, as a result, become the first company they turn to when there’s a need. Make your marketing program’s single point of focus be to develop trust, and your business will become more profitable and less reliant on competing on price. Selling, per se, is reduced in the interest of more open and honest conversations with prospects. You win more business on a sole-source basis, and more new business referrals come your way. If inquiries are directly passed on to salespeople, reps, partners or distributors for follow-up, beware. You may be leaving as many as eight out of 10 sales prospects on the sales path for your competitors. Now, get your compasses out and begin the long-yet-fruitful journey toward an effective lead nurturing program. You’ll be surprised how many potential customers will want to join you along the way. The post 4 Steps to do lead nurturing that helps more customers buy appeared first on B2B Lead Blog.